Lock in a great price for Quality Inn Parkes International – rated 9 by recent guests! Everything. The stff were excellant, Tried to help in any way, polite, happy, and like to taslk to you. The Room was very claean and tidy, Even the Woman who serviced the room asked for my rating of the room. Staff were exceptional. Room was clean and hair dryer, fabulous. We ate onsite, food was tasty! I asked for assurance of wheelchair access. The receptionist checked before giving this. I liked how clean the room was, friendly staff and location. Friendly staff, clean and modern room, comfortable bed. How clean the room was, beds were comfy and staff were so friendly and attentive. Quality Inn Parkes International This rating is a reflection of how the property compares to the industry standard when it comes to price, facilities and services available. It's based on a self-evaluation by the property. Use this rating to help choose your stay! 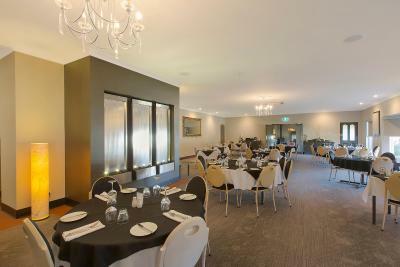 Offering a swimming pool, a restaurant and a cocktail bar, Quality Inn Parkes International is 5 minutes’ drive from central Parkes. All rooms offer a kitchenette and a large flat-screen TV. Each of the renovated, air-conditioned rooms offers a lounge area with a sofa or armchairs. All include an private bathroom with a shower and a hairdryer. You can enjoy a meal at the restaurant, which serves fresh seafood dishes. The cocktail bar offers a range of cocktails, wine and beer. 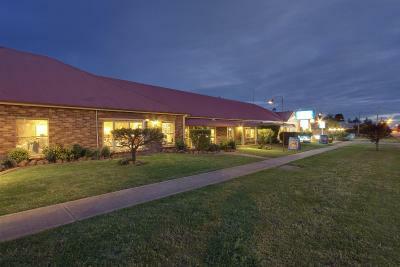 Quality Inn Parkes International is 22 minutes’ drive from the Parkes Radio Telescope. Dubbo’s Western Plains Zoo is 70 minutes’ drive away. 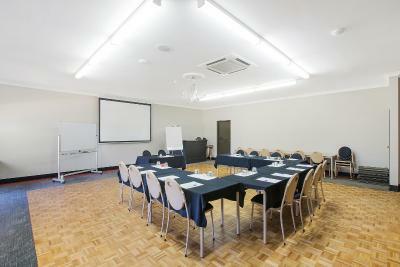 When would you like to stay at Quality Inn Parkes International? This spacious family room has been fully renovated, and consists of 2 rooms. It offers a lounge, an LED TV in each room, a work desk, free WiFi, a DVD player and an iPod docking station. It also includes a kitchenette with a microwave, refrigerator and tea/coffee making facilities. The private bathroom offers a bathtub, a shower, a hairdryer and quality guest toiletries. This room offers pillow top bedding and a sofa. It includes plush bath robes and slippers. It also features a work desk, free WiFi and a 42 inch LED TV with a DVD player and an iPod docking station. There is a refrigerator with a mini-bar, microwave, and tea/coffee making facilities. This room features an private bathroom with a shower, a toilet, hairdryer and quality guest toiletries. This renovated room offers pillow top bedding and a 32 inch LED TV. There is a work desk with free WiFi, and a refrigerator with a mini-bar, microwave, and tea/coffee making facilities. This room features an private bathroom with a shower, a toilet, hairdryer and quality guest toiletries. Our property is on the main street of Australia, the Newell Highway. We have 26 rooms fully renovated and a fantastic Cocktail bar and Restaurant. Buffet breakfast Mon to Fri. Room service breakfast 7 days. Free guest laundry and WiFi Internet. House Rules Quality Inn Parkes International takes special requests – add in the next step! Any additional older children or adults are charged AUD 20 per person per night when using existing beds. Any additional older children or adults are charged AUD 20 per person per night for extra beds. Quality Inn Parkes International accepts these cards and reserves the right to temporarily hold an amount prior to arrival. Pool area a little dated and position of a/c made cooling the room challenging. The tv remote was difficult to get to work. The pool was dirty the key didn’t work in our lock to three tries changing the key for it to work. Didn’t work later at 10 at night when I came back and had to call her she was annoyed that we bothered her. Had a cocktail they were expensive and they hadn’t turned the air conditioning on when it was 42 degrees. Chairs in room though stylish are awakward for people with physical disabilities.